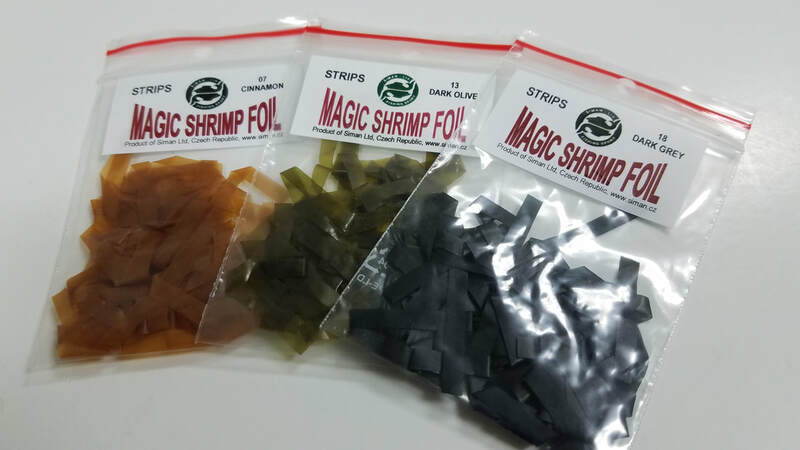 Magic Shrimp Strips are solid color and in a 1/8 inch strip. These are non-flash and have some stretch or easy usage. 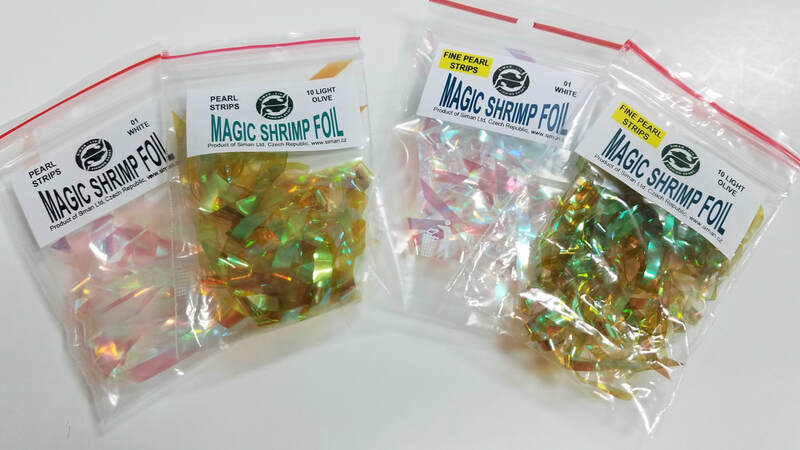 The Pearl version of the Magic Shrimp Strips come in two different sizes, and a selection of dyed pearl colors. the sizes are 1/8 and 1/4 inch widths. 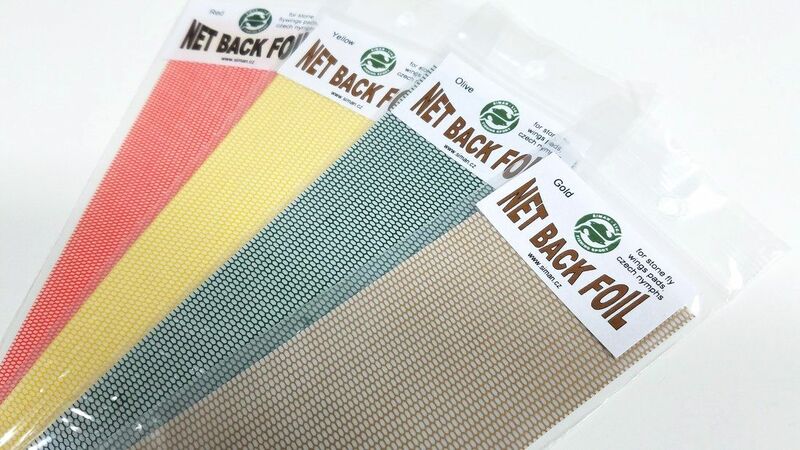 ​Net Back foil is rather unique for a shell back. it comes in a solid piece that you cut for you own sizes, and has a net pattern to give an mottled-look to your pattern. 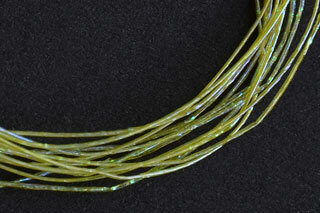 Pearl Quill Body for a pearl midge or use it to rib your fly. This is a small round material with a pearl finish.